Abstract: I will describe our recent work on measurements of very weak magnetic fields using optically pumped alkali-metal atoms. By reducing the effects of collisions between atoms magnetic field resolution in the atto-tesla range has been achieved, surpassing the sensitivity of low temperature SQUID magnetometers. Recent applications of these techniques include recordings of magnetic fields produced by the brain, high sensitivity detection of nuclear quadrupole resonance from potential explosives, measurements of Earth magnetic field and remnant rock magnetization. By adding a nuclear-spin polarized noble gas to the magnetometer one can also realize a spin gyroscope potentially competitive with fiber-optic devices. These techniques can be also used for tests of fundamental physics. I will describe our recent limit on new long range spin-dependent forces between neutrons which surpasses the strength of gravitational interactions. Biography: Prof. Michael Romalis is an associate professor of physics at Princeton University. He received his PhD from Princeton University in 1997 and has worked at University of Washington. 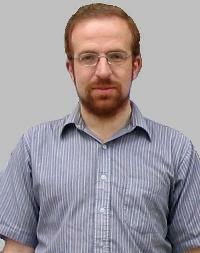 His research is focused on tests of fundamental symmetries at low energies and development of sensitive measurement techniques based on atomic physics. His work includes searches for permanent electric dipole moments, studies of interactions in high-density spin-polarized systems, detection of weak magnetic fields, and optical methods for detection of nuclear magnetic resonance. He had received a Packard Fellowship and DOE Young Investigator award.